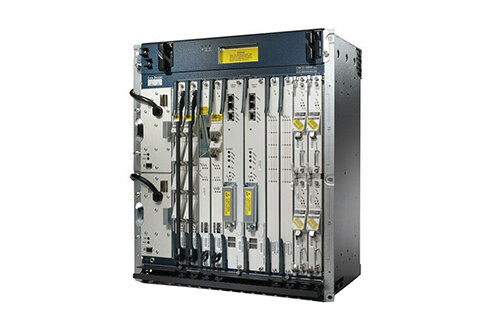 The Cisco ESR 10000 series router is still a dominant force in today’s market. Units continue to perform well but are now generating significant savings as they move past end-of-sale dates and approach the last days of Cisco support. By selecting a refurbished Cisco ESR 10000 router from Worldwide Supply, you’ll receive a model that’s ideal for IP and MPLS services, direct to broadband and private0line customers. Full support of triple-play options as well as wholesale access allow these routers to perform well as you scale or build high-density interfaces. Cisco ESR 10000 series routers support up to 61,500 sessions for LAC, LNS and PTA environments. You can also use them to support low-speed, private-line aggregation thanks to features including frame relay, leased-line services and DS-0 to DS-3 ATM. Used and refurbished Cisco ESR 10000 series devices from Worldwide Supply offer your network what it needs to grow efficiently and affordably. Each unit allows access to the Parallel Express Forwarding adaptive network processing technology from Cisco. Plus, you get route processor redundancy and rapid session setup rates that are proven to deliver 99.999% system availability. ESR 10000 models also support auto-VC creation and previsioning support that can be added to Cisco’s comprehensive VC density, enabling easier operations and faster deployment. Pair this with hierarchical QoS on a per-subscriber basis designed to help with granular bandwidth management and allow you to offer a better data, voice and video experience, and you can expect subscriber-aware service control capabilities. Operators can rely on the Cisco ESR 10000 to help expanding their last-mile offering with a smart investment, and Worldwide Supply can help keep these legacy devices performing optimally for your network.